The 2016 "Art of the Kentucky Derby" series image created by San Francisco-based graphic artist John Mattos. 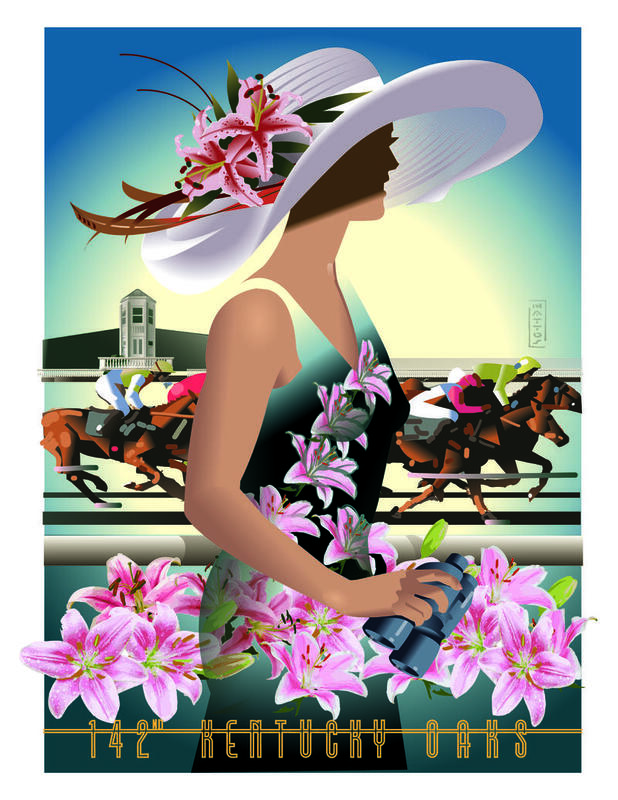 San Francisco-based graphic artist John Mattos created the official artwork for the 2016 Kentucky Oaks, part of the "Art of the Kentucky Derby" series. Leading American graphic artist John Mattos, whose Art Deco works have created indelible retro-style images for American films, major sports events and celebrations of iconic individuals, architecture, products and celebrations, has turned his focus to one of the nation’s most important sports and social celebrations to create the officially-licensed artwork for Churchill Downs Racetrack’s 2016 “Art of the Kentucky Derby” series. Prints, posters and other officially-licensed Kentucky Derby and Kentucky Oaks 142 merchandise will be available for online purchase at www.KentuckyDerbyStore.comon Monday, Feb. 1. The “Art of the Kentucky Derby” merchandise will be available for purchase in retail outlets shortly afterward. 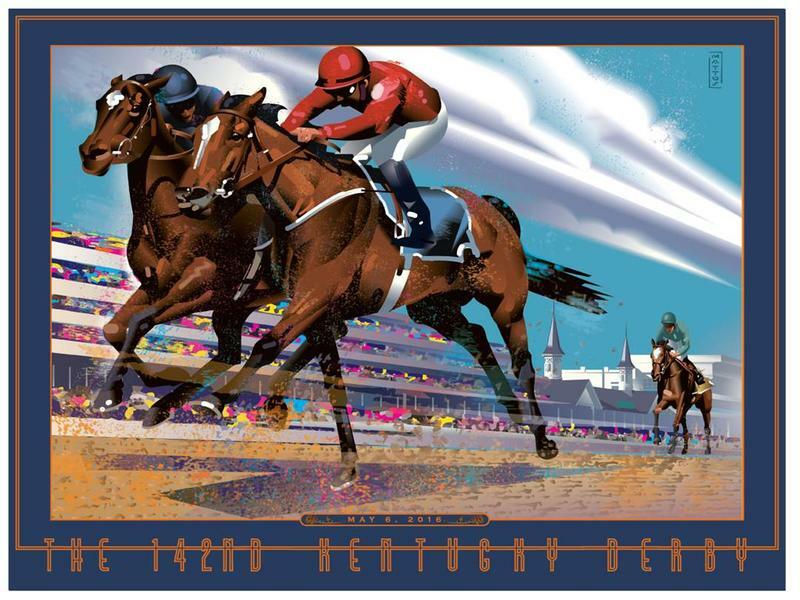 Other artists and illustrators of national and world renown whose work has been part of the the “Art of the Kentucky Derby” series include legendary singer Tony Bennett (2001); Gary Kelley (2002); Laura Smith (2003); Francis Livingston (2004); Bart Forbes (2005); Dennis Ziemienski (2006 Kentucky Derby); Erica Nordean (2006 Kentucky Oaks); Misha Lenn (2007); Trish Biddle (2008); Jeff Williams (2009); Linda Le Kinff (2010); Lesley Humphrey (2011); Robert Joyner (2012). Derek Gores (2013), Susan Easton Burns (2014) and Kimberly Santini (2015). Other past “official” Kentucky Derby artists include Leroy Neiman, Peter Max, Boguslaw Lustyk and Peter Williams.